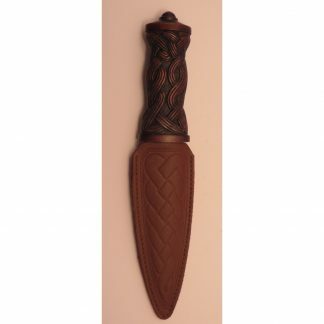 View cart “Celtic Sgian Dubh” has been added to your cart. 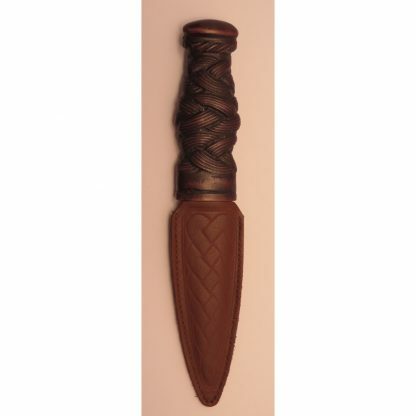 The Celtic Sgian Dubh has a hand stained grip with Celtic rope work on the front and on the back. 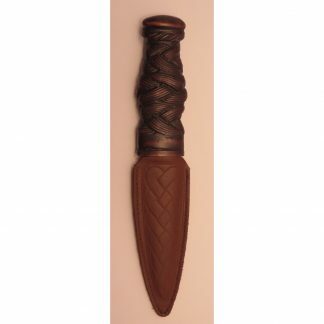 The sheath is made of real hide with a rope work design on the front. This Celtic Sgian Dubh has Celtic knot rope work on the front and on the back of the grip. It has a hand stained resin handle and comes with a real hide sheath. 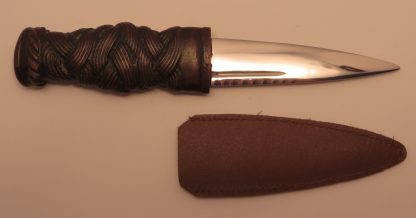 Sheath has a rope work design on the front. 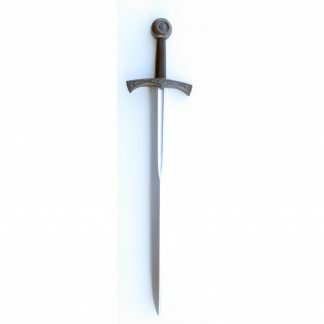 Blade is made of carbon steel. This sgian dubh is about 7 inches long. It comes gift boxed with a small pamphlet detailing the history of the sgian dubh.